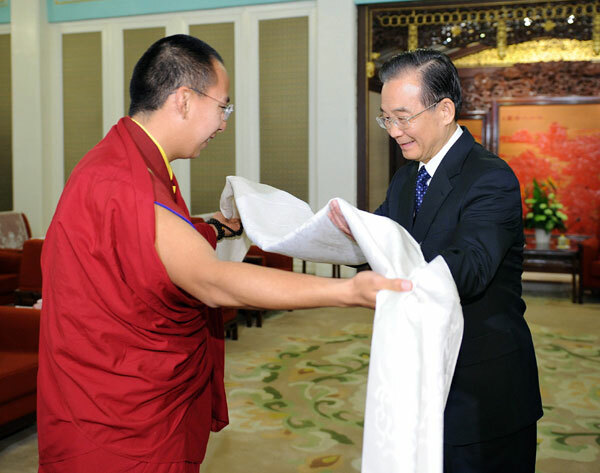 The premier heard a report by the Panchen Lama on his life and work since he was enthroned 17 years ago. Wen praised and congratulated the Panchen Lama on his marked progress in Buddhist research and cultural and ethic aspects, noting that the Panchen Lama has behaved in a good style as a Living Buddha of the Tibetan Buddhism. Premier Wen Jiabao on Friday had a meeting with the 11th Panchen Lama Bainqen Erdini Qoigyijabu in Beijing.